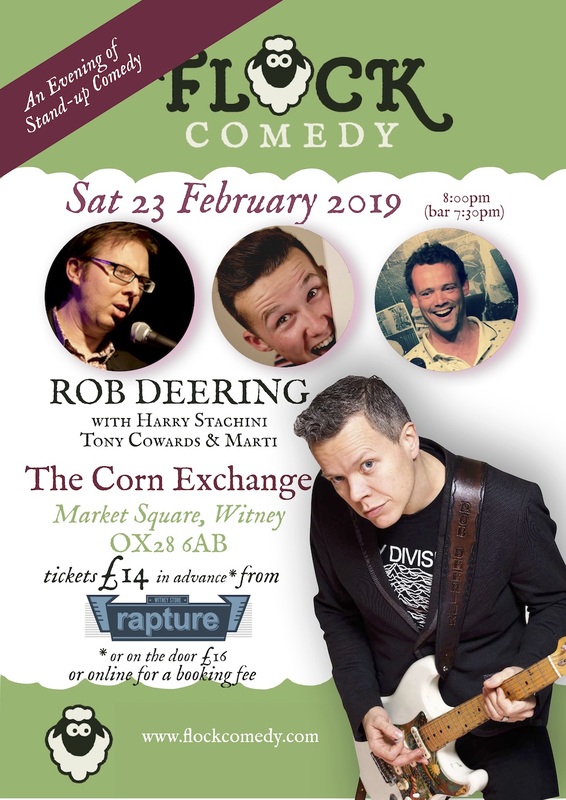 It's just a few miles up the road but this is Flock Comedy's first gig in Witney. We're bringing a stellar line up to The Corn Exchange with four pro comedians: Harry Stachini, Tony Cowards, Marti and Rob Deering. We also have a turn by the enigmatic celebrity poet Lawrie Hurt always a favourite with the local populous.